A board game of Nim you'll go overboard for... but don't go down with the ship! 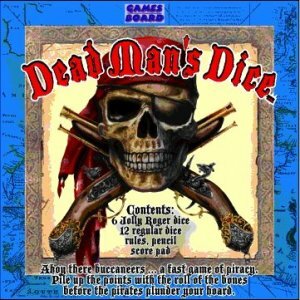 A dice game of piracy, luck and tactics. Avast there... roll the bones and face your fate but beware the Jolly Roger. Scurvy swabs take turns to roll 1 of their 3 dice, pile up their doubloons (for points) and plunder other pirates. Firing a broadside and blowing an opponent out of the water may be a life-saver but beware the die with a skull and crossbones... it may be your downfall and you will walk the plank. Dead Man's Dice Bandanas and T-Shirts available too. Multi-player, competitive solitaire, educational card game that reinforces correct spelling. 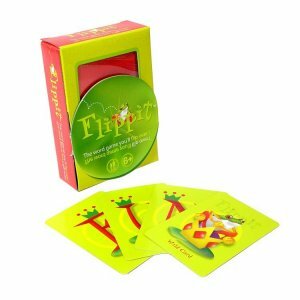 Children choose to spell a word consisting of 3 or more letters then, flip each card and reposition it in the proper spelling sequence. The more cards correctly re-positioned, the more points acquired. For any number of kids of all ages / approx. 20 minutes. A singular game of strategy, concentration, placement and points accumulation ~ with but a single rule. The combinations and permutations this one rule can create, make it a complex challenge as, the shifting possibilities open up literally new dimensions to play. 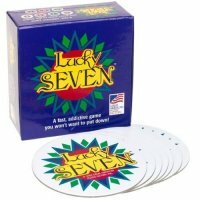 An addictive, fast and fun competitive solitaire game of luck with seven coasters ~ no skill, no strategy, no smarts and only one choice... no problem, it's simple to play and impossible to put down! 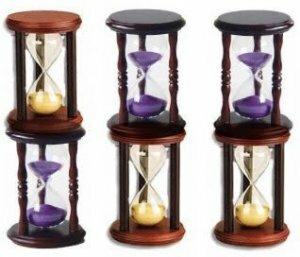 Shuffle and deal all 7 coasters number side down… then, turn over any coaster and leave it in place… the number on the coaster turned, determines the position (always reading from left to right) of the next coaster to turn. If the number on a coaster turned denotes the position of one already turned, the player is bust! For 1 or more players age 6+ / timeless. A fast-action, thought-provoking board game of intimidation and cunning that constantly challenges player's tactics as, the game play is swift and intense with shifts of power resulting from almost every move. 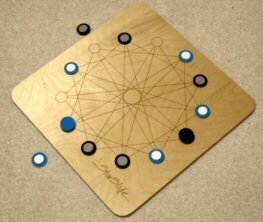 Played on a hexagonal board of triangles, it is a game of movement and capture by surrounding and removing opponent's stones from the board. Players move their stones forwards or sideways and all possible captures must be made until a player has only 1 stone left and, who then concedes defeat. For 2 players age 10+ / approx. 30 minutes. 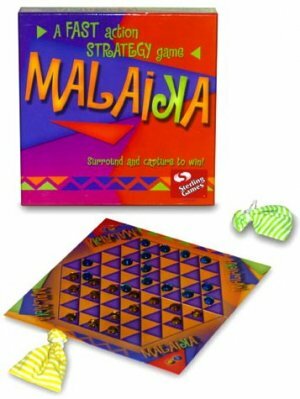 A board game of three-in-a row with a serious twist of strategy. Played with 3 pieces each and a single neutral pawn that is common to both players ~ and used as a blocker. Mojo Too similar in principle, played with 3 pieces and 1 pawn each. Mojo 2 played as Mojo and Mojo Too for points. The pips on the tops of the pieces in a winning row are added up and, the best of 5 rounds may be 2... on points. 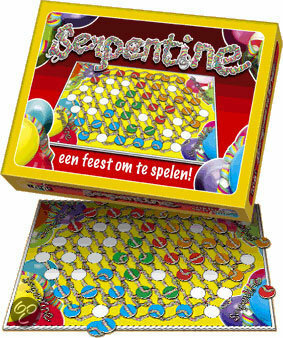 A board game, played with a unique scoring system, for beginners, basic and expert, who create a row of 3 pieces by moving any piece, even those of the opponent. A fun game of fours with luck of the draw, placement, movement, 'removement' and points accumulation. A second tier is apparent later in the game which may enable a player to come from behind and win. 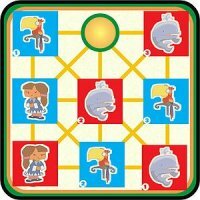 The only game in town where players may place, move and/or remove any piece on the board - the opponent's as well as their own. Programmed for Axiom and Zillions PC by Greg Schmidt. 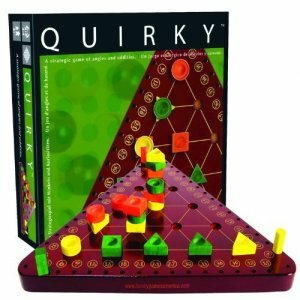 An amusingly odd (in a good way), yet incredibly competitive 3-D, triangular, abstract strategy game of luck of the draw, tactics and quite quirky possibilities. Form triangles inside triangles, stacked on top of triangles, on the triangular-shaped board to gain points by building equilateral triangles that share the same colour top piece. A game of precise and structured rules that must be followed... draw a Quirk from the bag and your colour, your strategy plans and your sanity could change instantly! 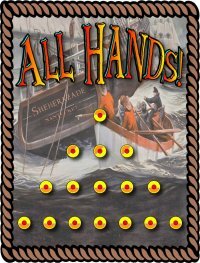 A fast nautical board game of observation, stratagem, placement and points accumulation, based on ancient mariner history, seafaring lore and pastimes. The object is, to out-navigate the opposition to victory. 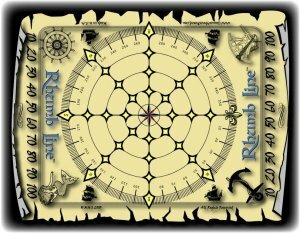 Three ways to score on the compass rose game board with a twist in the tail to turn the tide and rule the waves. Games Above Board designed & published + published by Channel Craft [USA]. 2008 Major Fun Award. 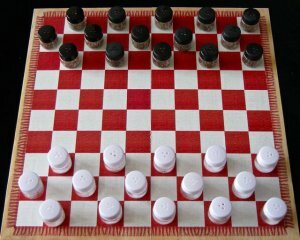 A spicy taste of strategy for shakers and movers as players move and/or leap their 15 Salt white pieces diagonally and 15 Pepper black pieces orthogonally safely home across the table-top toward themselves. Games Above Board design 'inspired' by Kate Jones' Six Disks. A party celebration of colourful streamers created with confetti counters that snake their way across the game board ~ with 3 levels of difficulty and the longest streamer wins. the last to slide a star wins. 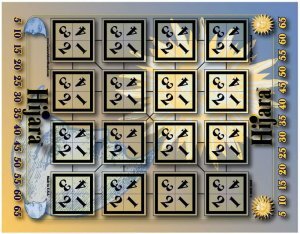 A PC game of matching 3, by unlocking spheres and passing through levels, that takes you on an exciting journey to explore the ancient myth of great secrets and discover the mysteries within the Library of Alexandria. 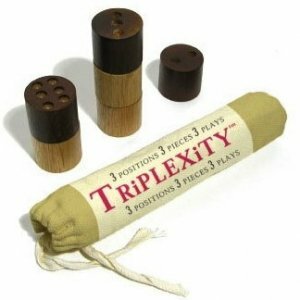 Keep it simple [stupid]... traditional, 2-player, abstract, strategy, pocket-size board game ~ in a tube. 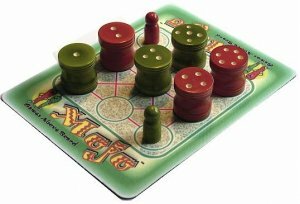 Components: soft mousepad material 4" x 4" game board + rules + 3 green and 3 red small wood pawns produced in India with non-toxic vegetable dye ~ published by Games Above Board. 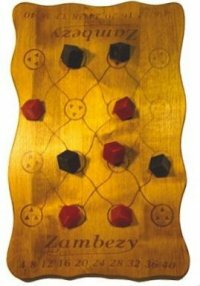 A brain-bending, pure strategy 3D game of complex simplicity ~ also played for points with a mind-numbing, original variation of thrice-sliced dice. Played with dice, the newest addition to the dominoes family. 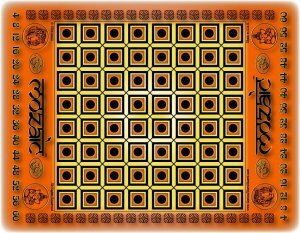 The game also includes a variation of Hijara ~ designed by Games Above Board. 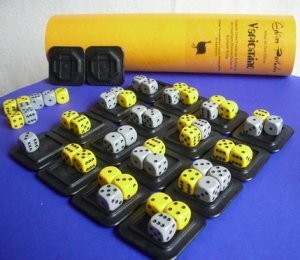 A fast-flowing, abstract strategy board game of luck, placement and points accumulation on several levels. Draw 'em out, stack 'em up, move 'em round or move 'em out.